This entry was posted in Kids Room Design and tagged bedrooms, creative design, decor, decorating, girls rooms, interior design, style, teen decor, teen girl bedrooms, teens. Bookmark the permalink. I think the first picture is fantastic with the mix of colours on wallpaper and furniture. 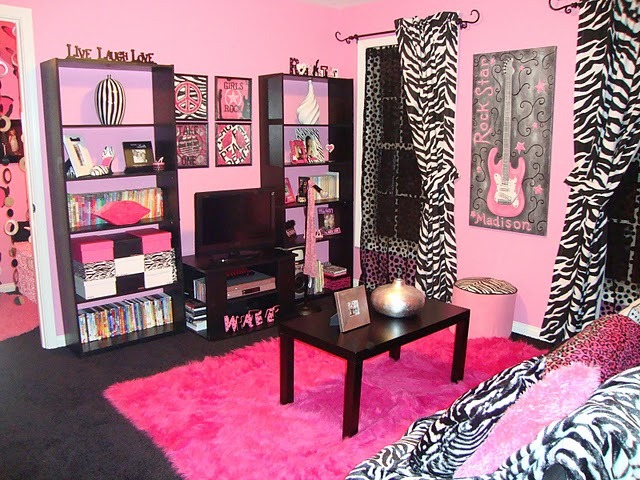 The added photo/print in black and white is just brilliant to make the room teen tasteful. Colours are fun and you should’t be afraid of being playful while decorating.